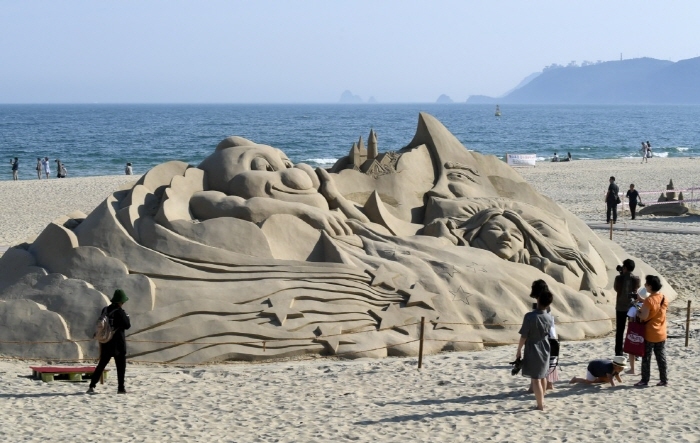 This festival takes place at Busan’s beautiful Haeundae Beach, an extremely popular summer vacation spot. 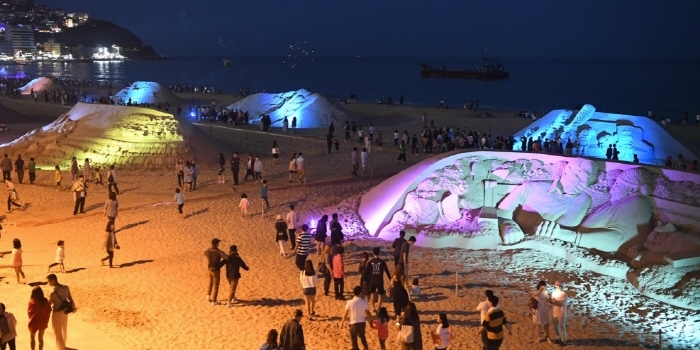 The festival’s program is full of events inspired by the beach’s beautiful white sand. 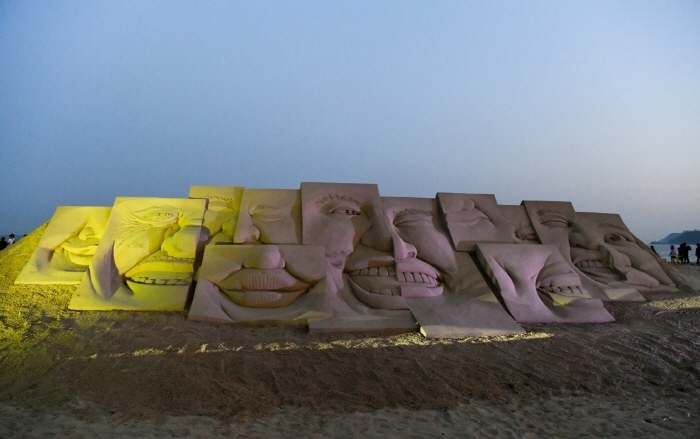 One of the highlights of the festival is the hot sand bath (beneficial for health and beauty), where visitors are buried in the sand from head to toe. 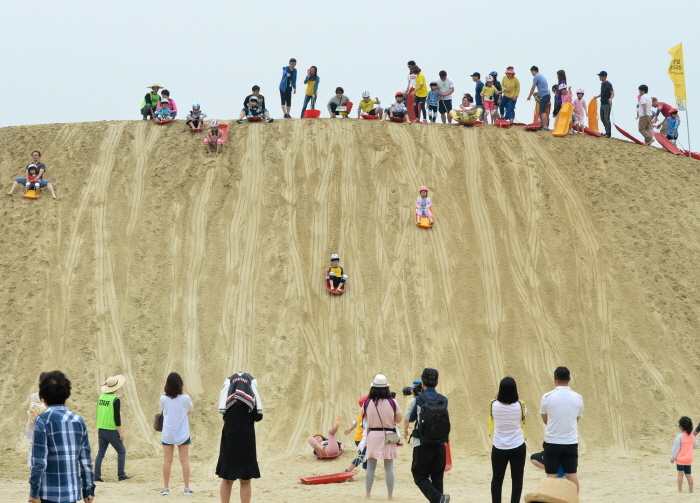 Other events include a beach volleyball competition, an exhibition of different types of sand from around the world, and a marathon race. The festival continues into the night with spectacular fireworks displays, concerts, and other entertainment events. 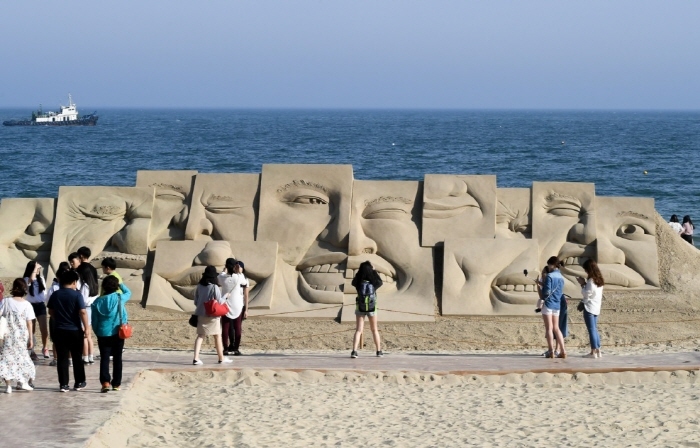 Popular tourist destinations such as the Jagalchi Market, Gwangalli, and Taejongdae are all located nearby. Visitors can also stop by one of the many restaurants along the coast to sample the hoe (sliced raw fish) for which Busan is famous. From Gimhae International Airport, take bus 307 or Airport Limousine Bus. From Busan Station, take bus 1003. Get off at Haeundae Beach Bus Stop. 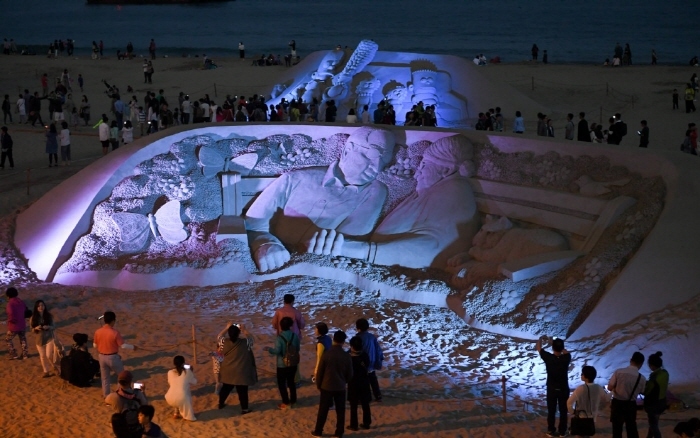 Haeundae Beach is located 5-10 min walk from the station.